We believe that it is the people within the companies that are the most important asset, having the commitment and drive necessary to deliver a successful, quality contract on time, safely and to budget. The company is formed by experienced civil engineering personnel capable of undertaking and managing contracts from £5k to £20m. 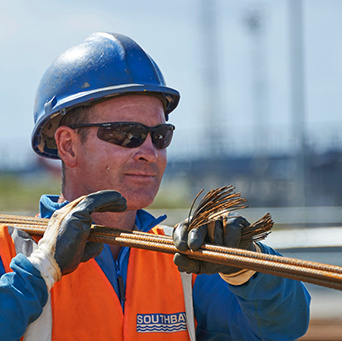 Southbay will provide a complete main contractor service and will undertake the role of principal contractor as required. Paul joined the Company in 2006 having previously worked for numerous national civils contractors. He has over 30 years experience in heavy civils work from Site Engineer to Contracts Manager. He has a proven track record of dealing with the challenges faced when undertaking river and coastal works in harsh environments. Paul’s strengths lie in providing Clients with a first class service through financial reporting, progress reporting, safety records. Antony, joined Southbay after having worked overseas for the last 20 years. With almost 30 years in the construction industry he brings a wealth of experience in marine and heavy civil engineering. 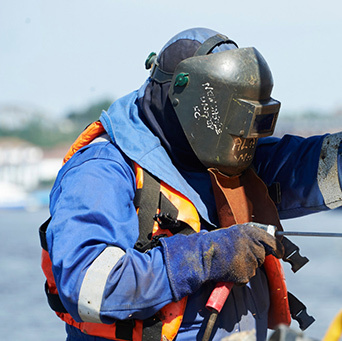 His broad spectrum of disciplines include; deep water structure protection / re – construction in marine environments, quay construction, dredging, erosion protection, sewage treatment works, large diameter drainage / tunnelling and RFC structures. A MRICS, MICES Chartered Quantity Surveyor Lisa brings an established portfolio of experience to Southbay. Having commercially delivered projects across a variety of fields including Infrastructure, Rail, Renewable Energy, Nuclear Energy, Oil & Gas, Petrochemical, Marine and Civil Engineering. Having worked both nationally and Internationally on multi million pound projects Lisa now has a firm base as Commercial Director of Southbay Civil Engineering where she oversees the commercial delivery of all projects and manages the commercial risks of our business. Since graduating with a BEng(Hons) degree in Environmental and Civil Engineering Graham gained more than 20 years contracting experience working in the construction industry. He has gained a wide breadth of experience running sites as site manager/ site agent on a variety of schemes including utilities, rail, bridge and marine works. Rod joined Southbay in 2014 with over 25 years of experience in the civil engineering construction industry in the UK. 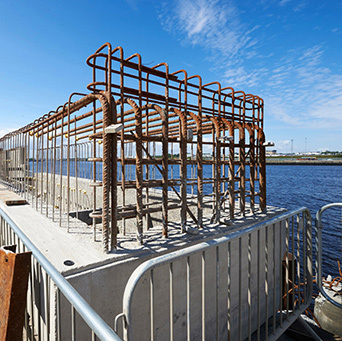 Previously Rod worked for a nationwide contractor gaining experience in a variety of construction disciplines, which included marine projects, structures and highways sectors, water industry, HDD and HV cable installation works. Rod started in the industry as trainee engineer and worked his way up to senior site agent, mainly working on major civils projects in the north east of England although in recent years on projects in the south of the UK. Stuart has over 20 years’ experience in the engineering & construction industry in the UK. Prior to commencing with Southbay, Stuart worked for various engineering/construction contractors in the UK gaining experience across many diverse disciplines. Stuart started in the industry as an apprentice Engineer, then working with local and national contractors until joining Southbay and now occupies the role of Health, Safety and Environmental Manager. Stuart is responsible for all aspects of managing safety and environmental procedures. Adrian has over 20 years’ experience in all aspects of Construction Management. Prior to joining Southbay in 2007 he worked for a national contractor gaining experience in marine, roads and rail sectors. Adrian has been instrumental in developing the Company's safety, environmental and quality systems and procedures and is responsible for implementing ISO 9001 throughout the company. Andy visited Southbay with his work experience and later joined Southbay on an engineering apprenticeship after leaving school. Andy has gained a BTEC / HNC in Civil Engineering & HND in Construction whilst working for Southbay. Starting as a trainee engineer and rising to Sub Agent Andy now has over 9 years’ experience in engineering & supervision within construction. 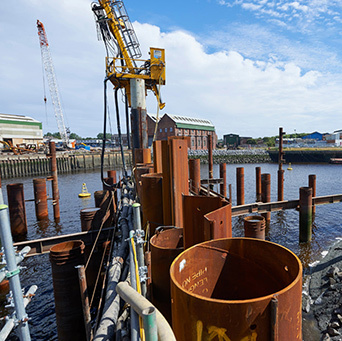 Andy has worked in many sectors including, bridges, marine, piling, temporary works, reinforced concrete. He is currently working towards an Eng Tech TMICE. Having gained a MEng in Civil Engineering from Heriot Watt University, Garry joined Southbay in early 2017 as a Sub Agent having previously worked for nationwide contractors as a site engineer and sub agent. He is currently working towards being a chartered engineer following his experience earthworks, concrete works, marine quay works and piling. Ashley brings over 6 years of experience within the civil engineering industry during which time he has been involved in delivering projects covering highways, rail and overhead lines. Ashley has developed successful working relationships with key clients ( Highways Agency, Environment Agency, Network Rail, Local Authority, National Grid)while working on the projects. Ashley has achieved a HNC in Civil Engineering and won an Institution of Civil Engineers Quest Scholarship while studying. Starting as a trainee engineer with one of the leading civil construction companies in the UK, Lewis gained a SVQ Level 6 / HNC in Civil Engineering. On joining Southbay in 2017 Lewis brought over 7 years of experience with him ranging for oil & gas, bridges, piling, temporary works, reinforced concrete and major road construction. Joining Southbay in 2015 Martin brings over 10 years of experience in both work winning and business development. This has included developing tender responses in accordance with bespoke client requirements and supporting senior management in both identifying and securing business opportunities. Martin is responsible for promoting our core company competencies and supporting our senior management team in providing clients with an unrivalled level of customer service. Jeanette is a highly experienced Accounts Manager and has worked most of her career in the construction industry. Her ability to organise and supervise all of the administrative activities ensures the smooth running of the accounts system. Julie is a highly motivated and experienced administrator. Having worked all her career within the construction / civil engineering sector, she is reliable, methodical and can handle a variety of office tasks effectively, with a strong attitude for organisation. Carly has a vast experience in working in office environments and carries out a range of administrative and IT-related tasks and provides the first point of contact for clients.